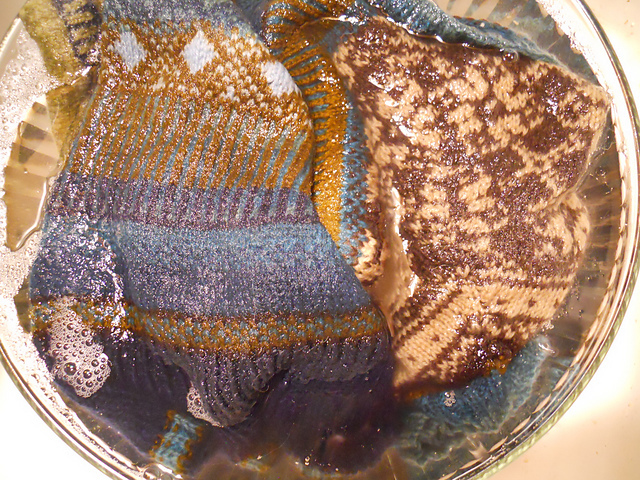 After finishing a sweater last night, I gave it a good long soak to relax the fibers. So thrilled to have it done! And it fit so well with the theme of the weekly challenge that I had to share it: Abstract 3. Oh I can’t wait to see it all dry and blocked out. The colorwork looks so interesting – but you know, I’m addicted to colorwork. Thank you! 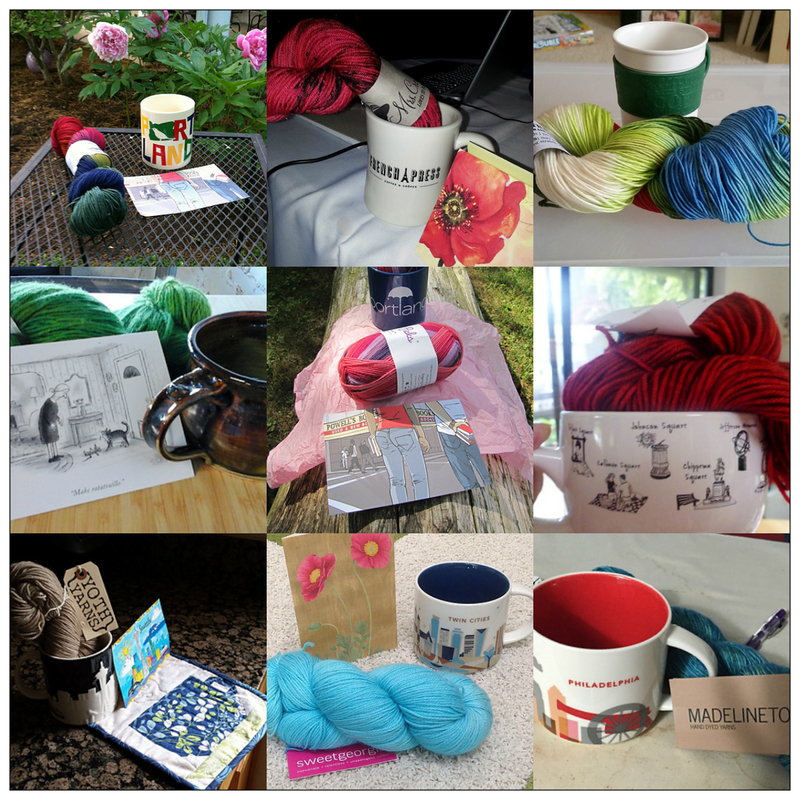 I agree, colorwork is the best!! !